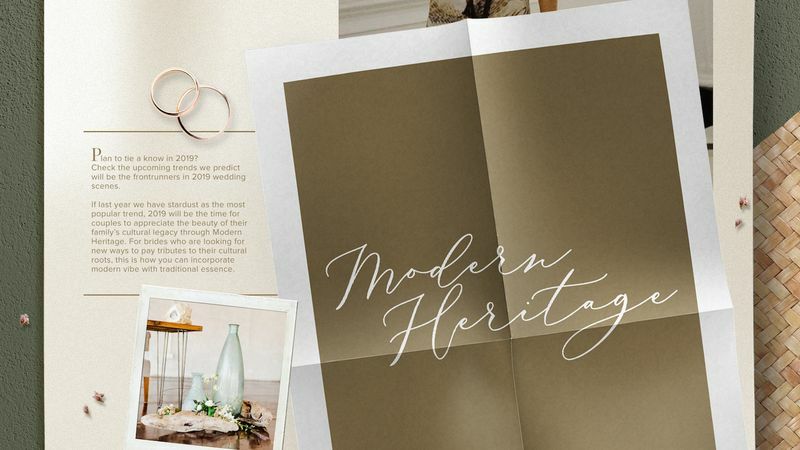 No more confused brides-to-be because we will equip you with 2019 wedding trend forecast and 2018 wedding industry report. Let's dive deep into the trends and the insight that will help you design your most anticipated day. If last year we have stardust as the most popular trend, 2019 will be the turn of totally different ambiances. 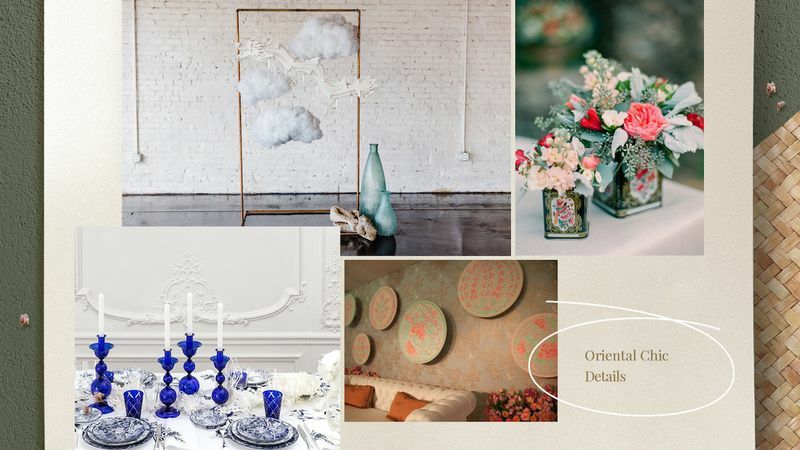 Check the upcoming trends we predict will be the frontrunners in this year's wedding scenes. 2019 will be your turn to appreciate the beauty of your family's cultural legacy through Modern Heritage. For brides who are looking for new ways to pay tributes to their cultural roots, this is how you can incorporate modern vibe with traditional essence. 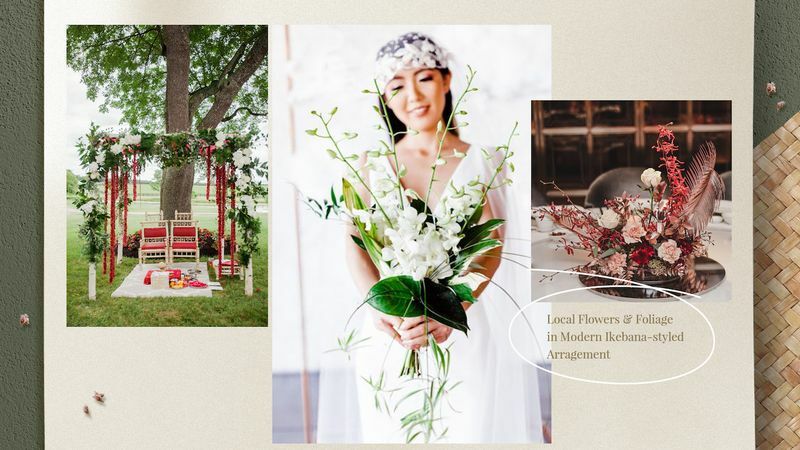 As our 2019's main trend, Modern Heritage will highlight decorations that are full of local flowers and foliage in modern Ikebana-styled arrangements. The color scheme definitely remind us of vintage yet contemporary feels. They will be matched with lots of oriental chic details. These details will be mostly applied as decorative backdrops, table tops, as well as dining sets. 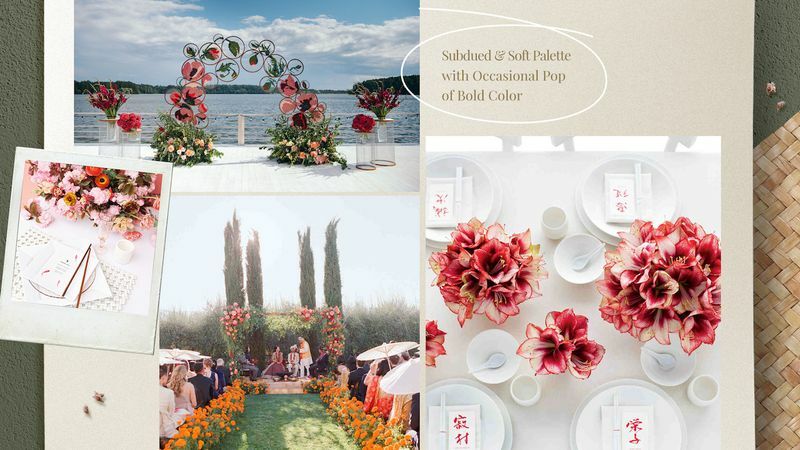 Subdued and soft palette with occasional pop of bold color will be also featured in the decorations. Mostly done on flower arrangements, this element will definitely bring the vibrant mood to the surroundings. 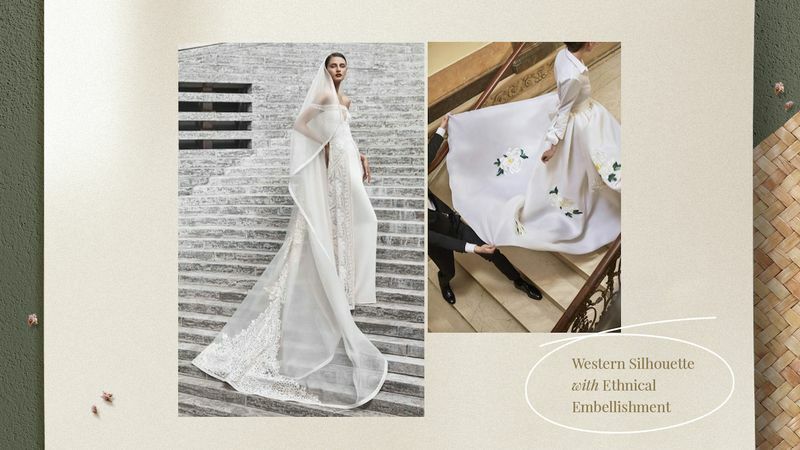 The 2019 wedding souvenirs will channel sleek and clean design with a hint of cultural patterns. 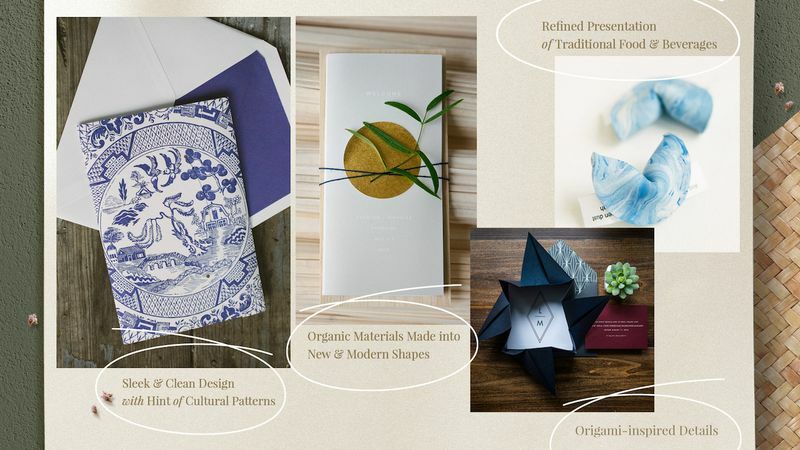 Organic materials will be turned into new and modern shapes, but origami-inspired details will also make a presence in the design. Most of them will be inspired by a refined presentation of traditional food and beverages. For the happy couple, put your option for modern silhouette attires with ethnical embellishment. Ask your designer to pair traditional fabrics with casual or modern outfit to visualize a modern heritage look. Expect to see a lot of local flower ornaments on the tier this year. 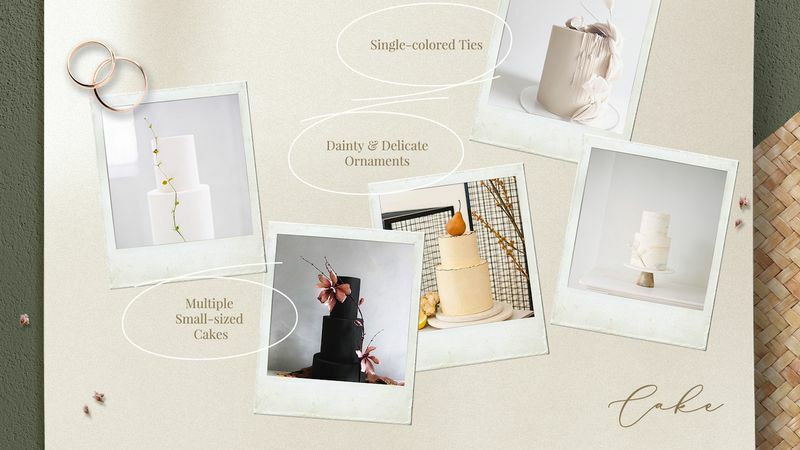 In addition, traditional patterns in subtle colors and minimalist adornments will be wrapping the wedding cakes. Our next trend illustrates a vibrant, warm, energizing and versatile spirit. 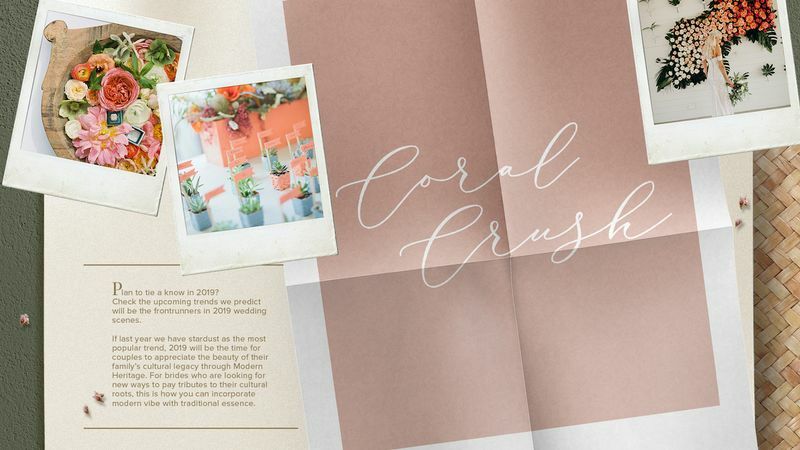 Inspired by Living Coral as Pantone Color of the Year 2019, Coral Crush attracts us with its playful and expressive shades. 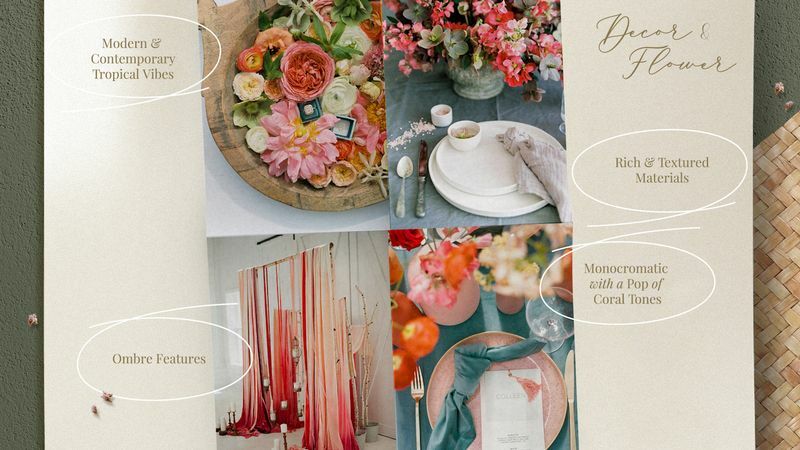 The decoration's excitement will start with a lot of ombre features, monochromatic shades with a pop of coral tones, rich and textured materials, as well as modern and contemporary tropical vibes. 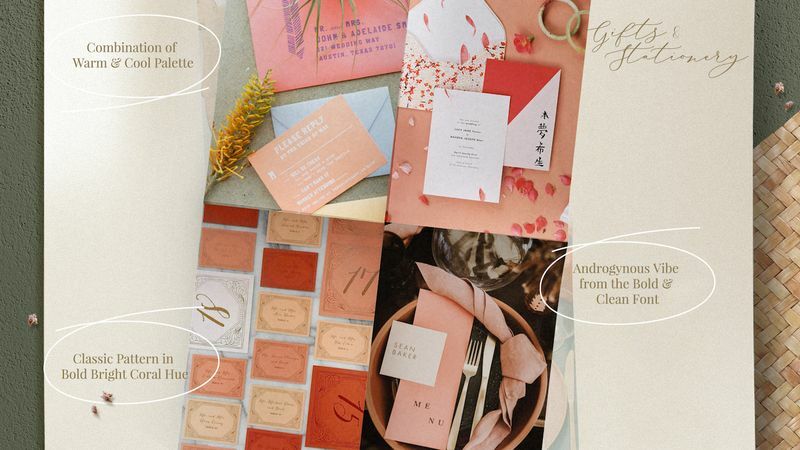 Invest your gifts and stationery budget on classic pattern design in bold bright coral hue, or a combination of warm and cool palettes with androgynous vibe from the bold and clean fonts. Meanwhile, organic-shaped and natural-textured garnish with contrasting color ornaments will be adorning the cake. 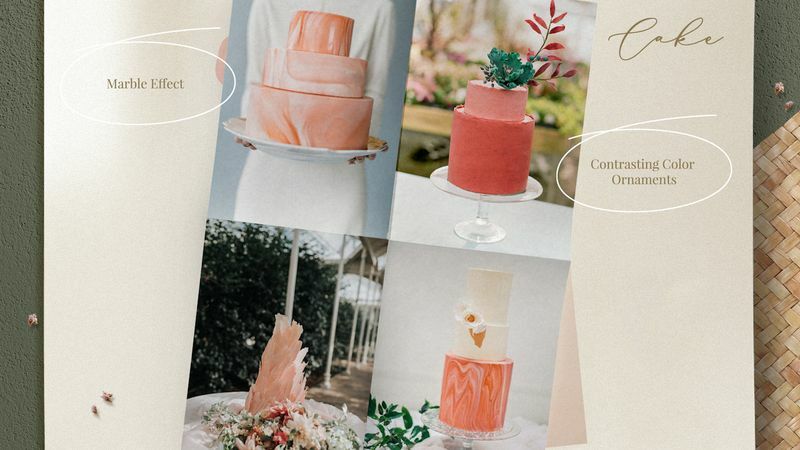 This wedding's focal point will catch everyone's attention through its bespoke design. 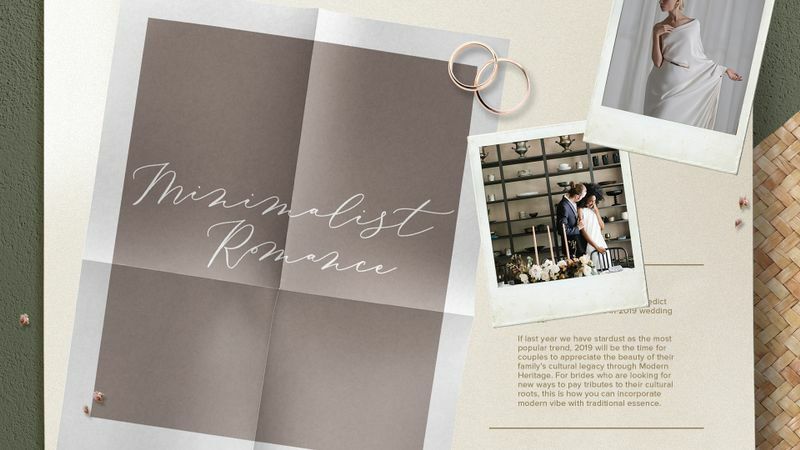 For lovebirds who prefer clean and sleek atmosphere for their special day, we also have predicted that Minimalist Romance will be one of the most favorable wedding themes. This trend is the manifestation of our desire for simplified way of life, combined with the everlasting passions for romance. 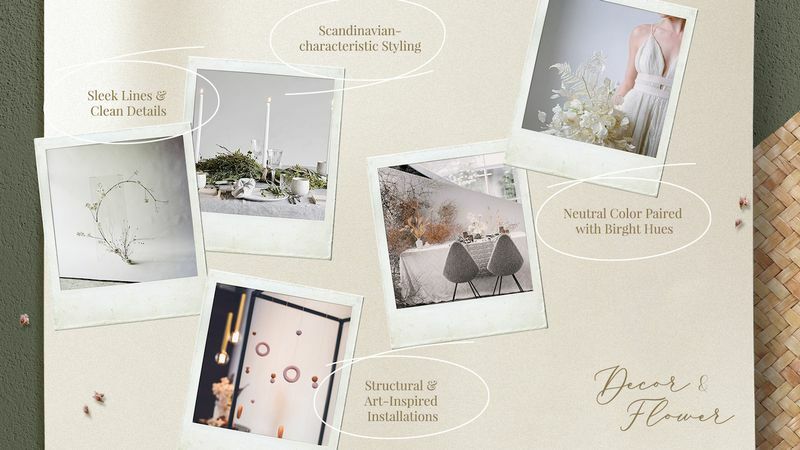 The surroundings will be decorated with by Scandinavian-characteristic styling and neutral colors paired with bright hues, but it should not stop you to explore structural and art-inspired installations. Sleek lines and clean details will be often highlighted as well. 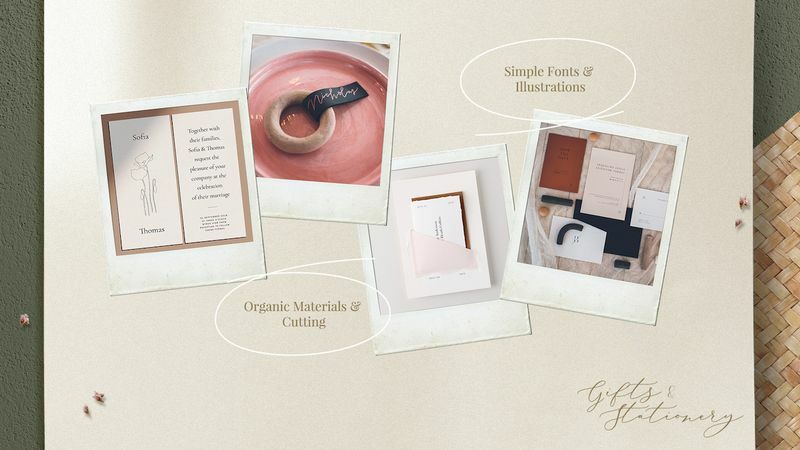 To match the theme, gifts and stationery design will take side on organic materials and cutting. Graphic designers will have a great time exploring simple fonts and illustrations to the design. Say goodbye to gigantic layered cake because because less is more! 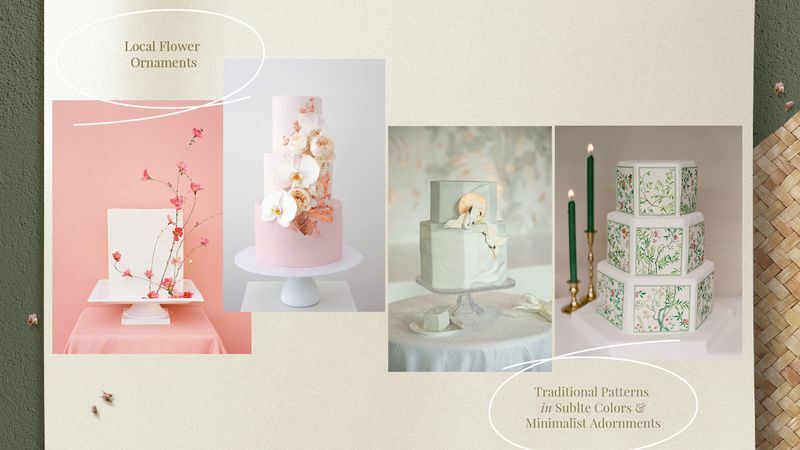 Multiple small-sized cakes with dainty and delicate ornaments in single-colored tiers will definitely entertain your guests. 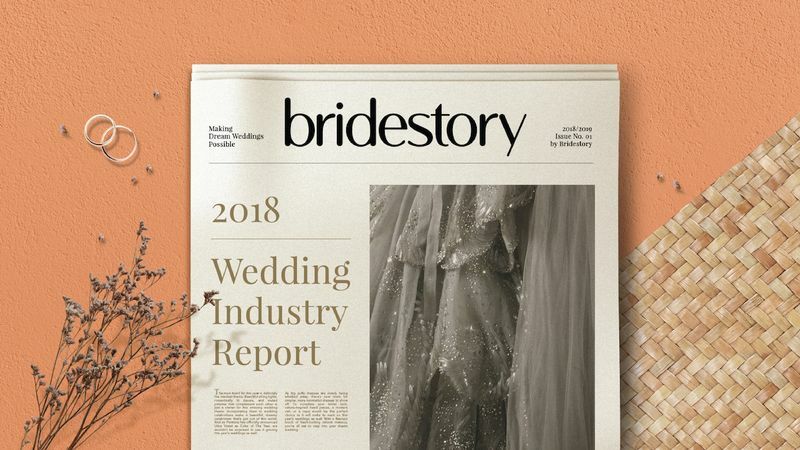 Now let's see how Indonesian couples have invested their time, energy and budget to make their dream wedding come true through our 2018 Wedding Industry Report. 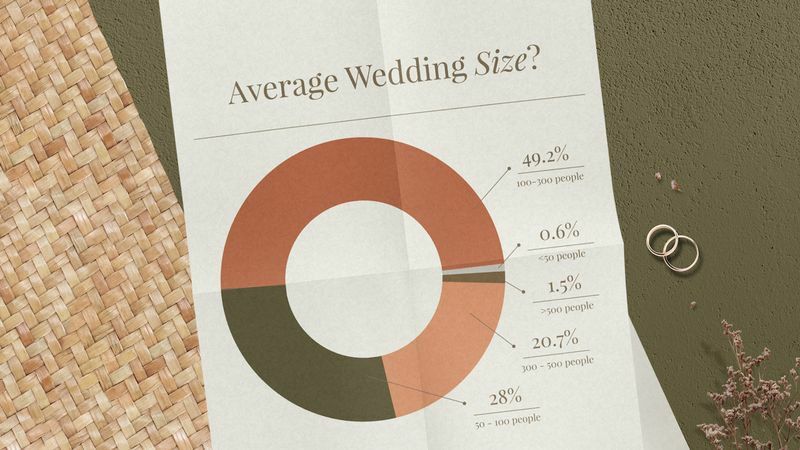 We gathered data from 1,500 Bridestory users from various cities to respond to our questionnaires. Our respondents come from Singapore, Indonesia and Malaysia. 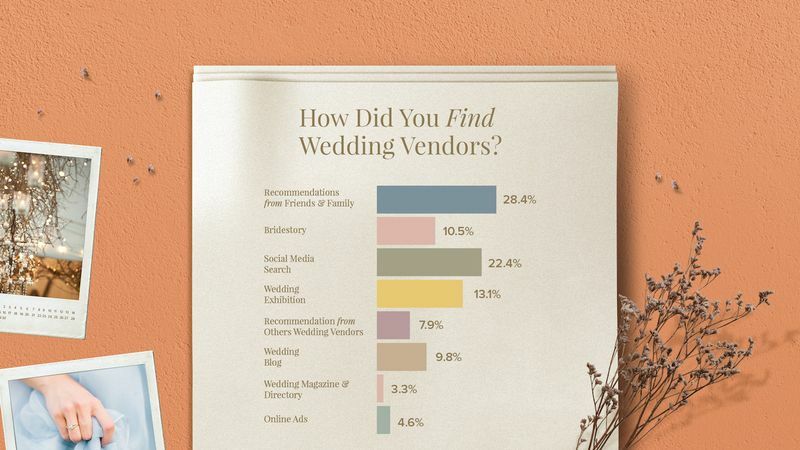 The couples mostly found vendors from friends and family's recommendations, followed by from the social media and wedding exhibitions. They also looked references from Bridestory's vendors database. Most of them needed more than 12 months to prepare their once in a lifetime event. The first vendors being contacted were the venue which could take a year prior to the event. Starting from 11 months before the D-day, the couples would be in conversations with the wedding planners and both photographers and videographers. The last vendors on the list were invitations and souvenirs and wedding bands which mostly took only 4-6 months of preparation. The budget mostly came from the bride and the groom themselves. However, the groom sometimes funded most of their wedding budget. 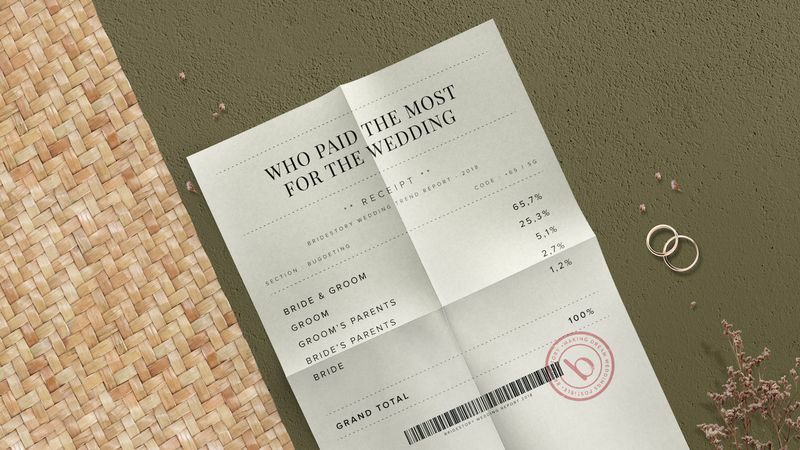 The groom's parents also most likely support the financial needs rather than the parents of the bride. Talking about the wedding size, most of these couples invited 100 - 500 guests for their wedding, followed by 500 - 1,000 people. Apparently, some of them were fans of intimate weddings by inviting only 50 - 100 people. 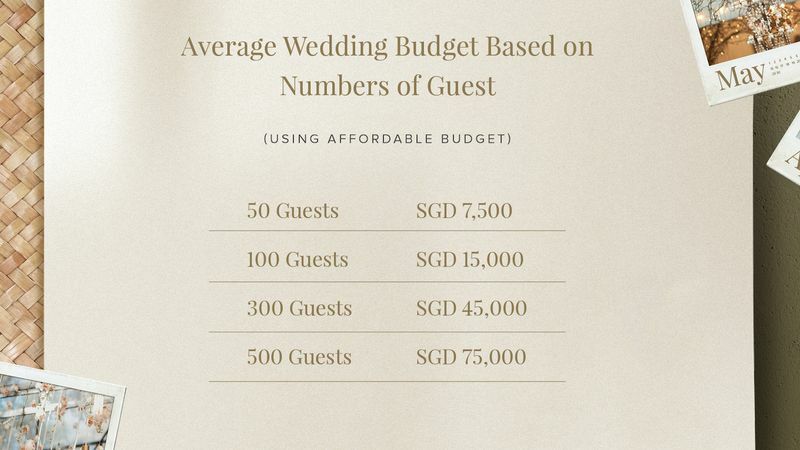 For their guests, the moderate budget was $275, but most of our respondents preferred to only spend around $150 per guest. However, a number of them apparently did not mind to tribute $450 for each of their guest. 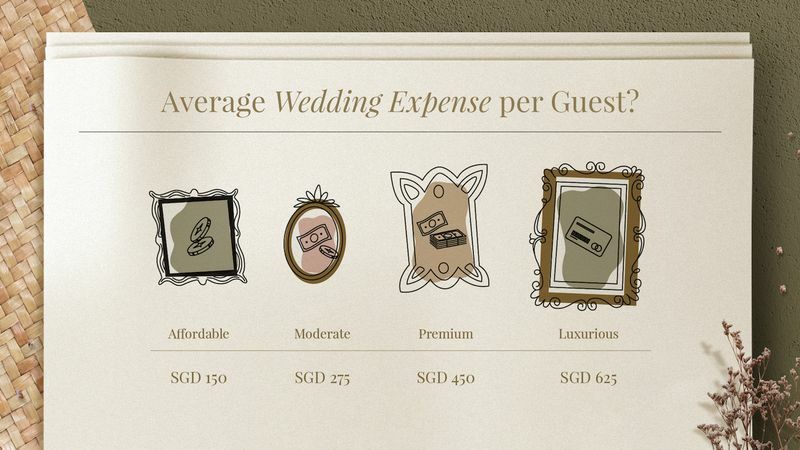 To give you an idea, here is an illustration to help you set your maximum budget on your special day. Based on affordable budget rate, you can start to prepare whether to have an intimate wedding or a luxurious celebration. 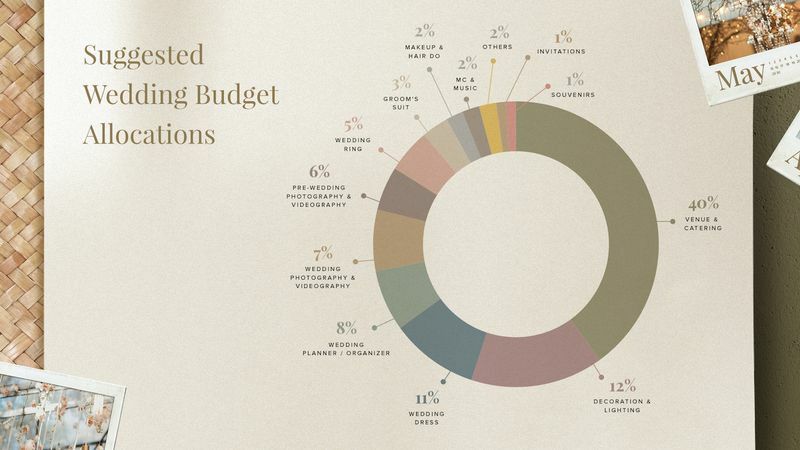 The chart above is our recommendation on wedding budget allocations in general. 40% of your budget is indeed best spend on venue and catering. The second priorities should be invested on decoration and wedding attires. Now that you already have insights about making plans for your big day, start browsing our vendors to find the right collaborators that will help you making your dream wedding come true!